The prospect of a thriving cannabis industry has New Brunswick entrepreneurs seeing green ahead of next year’s nationwide rollout of adult-use marijuana. The Atlantic province – Canada’s third-smallest by population – has made marijuana a pillar of its economic strategy. Government and industry officials hope to grab an oversized share of the country’s projected 6 billion Canadian dollar ($4.8 billion) annual medical and adult-use market. The provincial government already has spent millions of dollars by dangling financial sweeteners for producers, funding research chairs at universities, and developing a community college program for cannabis technicians. “Other provinces in Atlantic Canada are looking to New Brunswick because of its leadership position,” said Greg Engel, CEO of Moncton-based Organigram Holdings (TSX Venture Exchange: OGI), a licensed medical marijuana producer. Fred Bergman, senior policy analyst at the independent Atlantic Provinces Economic Council (APEC), said New Brunswick is targeting the entire supply chain. That broad approach is expected to benefit a number of related spinoff industries, including lighting and seed companies, testing labs, research facilities, accountants and more. Bergman said New Brunswick could see annual adult-use cannabis sales in the neighborhood of CA$120 million when the industry is built out by 2021. “The potential is significant,” he said. 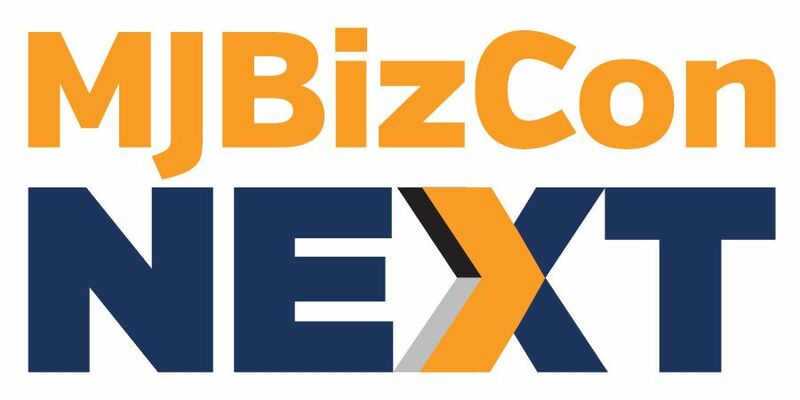 Opportunities NB, a provincial economic development corporation, expects the cannabis industry will bring more than 2,000 jobs to the province by 2021. A report produced by the Parliamentary Budget Office (PBO) last November paints a rough picture of what the legal cannabis market in New Brunswick could look like after adult-use legalization, which is expected next summer. The data, when adjusted for the province’s working-age population, points to approximately 99,600 annual cannabis users in New Brunswick in 2018 and 109,000 in 2021. Aggregate cannabis consumption in the province could be 17,000 kilograms next year and close to 20,000 kilograms by 2021. That translates into big bucks for New Brunswick’s treasury: APEC estimates the government’s annual revenue from marijuana sales could be CA$66 million-CA$78 million by the time the industry is mature. By comparison, tobacco tax revenue was CA$149 million in 2015. In the early years, however, New Brunswick is projecting a much more modest windfall: In a budget tabled in January, the province said it expects to get about CA$7.1 million in revenue this year from taxes on recreational cannabis. New Brunswick has the second-highest number of veterans in Canada per capita, at 4,204 per 100,000 people. In 2021, seniors are projected to account for over a fifth of New Brunswick’s population, the second-highest proportion in Canada. Health Canada doesn’t reveal how many of the country’s 167,754 registered MMJ patients reside in New Brunswick. But data from Veterans Affairs Canada (VAC) — responsible for war veterans’ medical benefits, including cannabis — suggests the province has an oversized share of Canada’s MMJ market. In the first quarter of 2016, for example, New Brunswick (2% of Canada’s population) accounted for 30% of the VAC’s total cannabis prescriptions, according to the magazine The Deep. Engel of Organigram highlighted financial incentives offered by the provincial government, and noted that New Brunswick provides appealing business conditions, including low power costs, a competitive labor pool and the lowest corporate tax rates in Atlantic Canada. Organigram is one of two licensed growers in New Brunswick. Canopy announced this week it’s buying Fredericton-based Spot Therapeutics Inc. – an LP applicant – for CA$2.25 million in stock, and is finalizing the purchase of a 100,000-square-foot production facility, also in Fredericton. “We’re at a point now where provinces are competing against each other, some are showing real leadership,” he added. International Herbs and Medical Marijuana, of Delta, British Columbia, operating as Zenabis. The company was issued a cultivation license for its facility in Atholville on Aug. 18. New Brunswick-based Tidal Health Solutions, which has applied to Health Canada to be an LP and is building a marijuana production facility in St. Stephen, near the Canada-U.S. border. Canada House (Canadian Securities Exchange: CHV), which – through its wholly owned subsidiary Abba Medix Corp – has applied to Health Canada for a cultivation license. 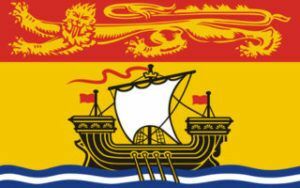 New Brunswick is one of the first provinces to have already recommended a retail framework. In June, a provincial working group made up of government and business officials concluded that New Brunswick’s interests would best be served through a retail model owned and operated by the provincial government. “It is envisioned that retail operations will be limited to cannabis and associated products in separate locations from liquor and will be strategically placed away from areas frequented by youth,” the working group concluded. Engel of Organigram, meanwhile, doesn’t expect the small number of illegal dispensaries in places like Moncton, the province’s largest city, to be a factor after legalization. The province is expected to table legislation this fall on, among other things, a retail framework for the cannabis industry. New Brunswick has, more than any other province, anted up its support of the cannabis sector. It has offered at least CA$6 million for higher education and loans to cannabis companies. Opportunities NB provided payroll rebates worth CA$1 million for Organigram last year. Opportunities NB and the Northern New Brunswick Economic Development and Innovation Fund each kicked in CA$2 million in loans for the Zenabis MMJ facility that was recently granted a cultivation license in northern New Brunswick. The two entities expect the project will create more than 200 jobs and contribute CA$15 million annually to New Brunswick’s gross domestic product. The province also pumped in money – on top of private donations – to help establish what is says are the first two cannabis research chairs in the world. The New Brunswick Health Research Foundation, an independent organization, and Tetra Bio-Pharma will each invest CA$500,000 over five years for a health research chair in cannabis at the University of New Brunswick. Also, the Health Foundation and Shoppers Drug Mart will each invest CA$500,000 over five years for a health research chair in cannabis at St. Thomas University. Bergman of the Atlantic Provinces Economic Council said related industries and sectors would benefit from legalization. He pointed to testing, research and development and opportunities with the other Atlantic provinces. Opportunities NB sees spinoff benefiting in the areas of production, supply-chain management, research and development, academia, energy and energy management, as well as pharmaceuticals. The Research and Productivity Council (RPC) in Fredericton, one of the lead testing cannabis facilities in Canada, is responsible for testing around half of the cannabis grown in the country, according to the provincial working group. RPC hired 32 professionals in the past year to satisfy the growing demand for services and plans to hire another 12 people in the coming year. In addition to funding the research chairs at the two universities, the provincial government helped establish the Collège Communautaire du Nouveau-Brunswick (CCNB) – a community college – to work with producers to develop a new educational program to train workers in the horticultural production of cannabis. “It will also serve to create innovation in the sector by linking small-scale entrepreneurship to college and educational programs and building a hub of infrastructure and research clusters to attract investment,” according to the working group’s report. It’s refreshing to see a province grab hold of the Cannabis opportunity …. game changer for sure!